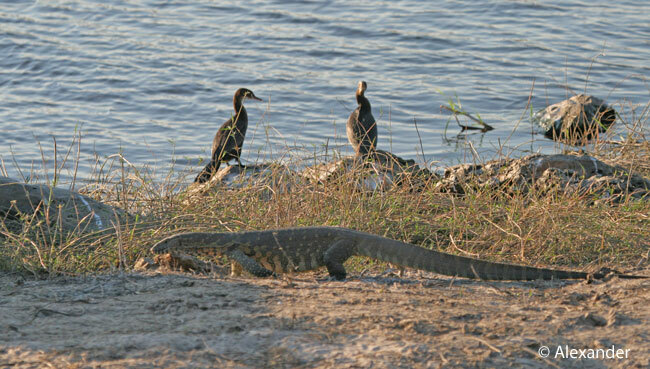 One of the creatures we don’t hear about much on African safaris is the Nile Monitor. They don’t catch the eye of people seeking the more illustrious lions, hippos, or elephants. But what an interesting and unique animal they are. No higher than your knee and often quietly hidden in the background, Nile Monitors can be found in sub-Saharan woodlands, rivers, and a variety of habitats. Usually they’re hunting, sometimes basking. They are not picky about what they eat, consuming bird or crocodile eggs, fish, snails, frogs, snakes, birds, insects, small mammals, and carrion. 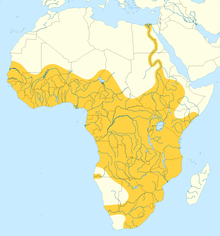 Named after the Nile River, you can see from the range map (below) that they still inhabit there. There are Nile Monitors outside of Africa, moved from their native land to satisfy the whims of humans. Wikipedia info. As part of a large family known as monitor lizards, the Nile Monitor is one of 79 different species. Monitor lizards in general exist natively in tropical parts of the world: Africa, Asia, and Oceania. The largest monitor in the world is the Komodo Dragon, found in the Indonesian Islands. The word “monitor” derives from the Arabic for dragon. 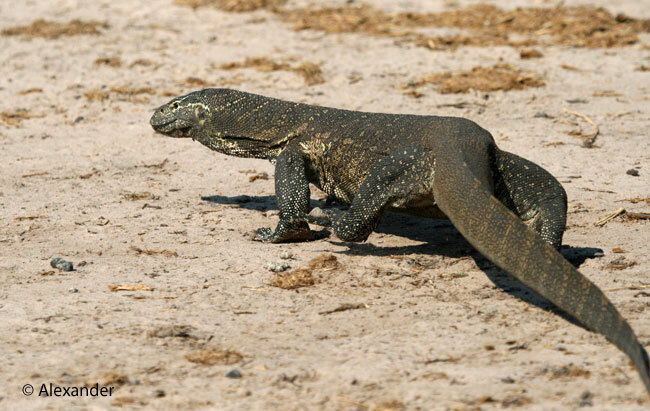 While in Zambia and Botswana, we saw Nile Monitors almost every day, usually around water. 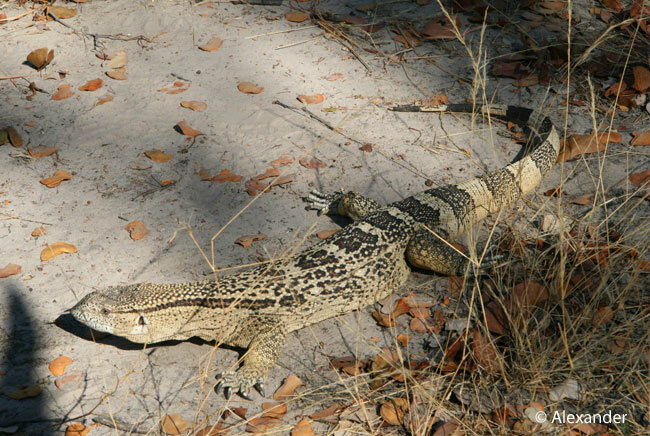 Varanus niloticus have developed nostrils high on their snouts to accommodate their aquatic nature. In addition, as you can see in the first photo, the tail is shaped with a dorsal keel to propel the lizard in water. They vary in color and size, and although they were often around water, we also saw them in various habitats like the forest floor, and scrambling up trees. 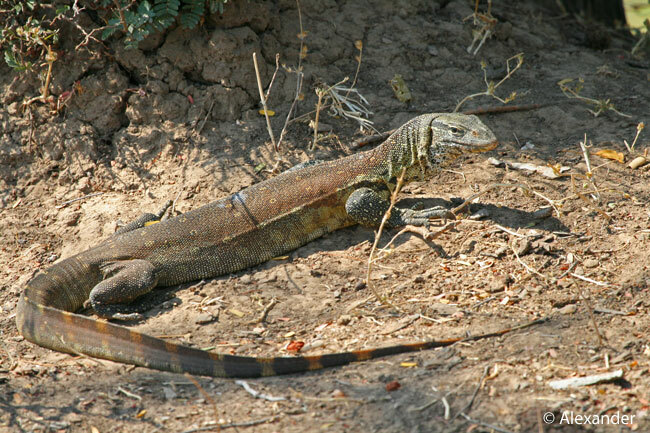 On the average, they measured about two feet long (.60 m) without the tail. When they walk, it looks like a swagger because of the opposite-foot gait, characteristic of reptiles. The long tail dragging behind the lizard’s body sometimes etched tracks in the sand. In spring, the female monitor breaks into a termite mound and lays her eggs, where they can incubate in a warm and protected space. Nile monitors have large clutches of up to 60 eggs. A lizard that can co-exist with elephants, swim among hippos, and escape up a tree when an angry crocodile has just found its eggs devoured. I like to think the Nile Monitor is the real Queen of the Nile. Very cool. Some of these creatures get overlooked by photographers, but they’re pretty interesting. Glad you liked the Nile Monitor, Craig. I love lizards–I, too, think they’re cool. I know lizards can climb trees, but it would be quite something to see one this large scurrying up one. 🙂 Thanks for the morning safari, Jet, and all before I have to go to work! Great fun to take you on safari, Janet, a quick adventure before work. Many thanks, and have a fun Friday the 13th. I’m glad you enjoyed the safari, Amy — thanks so much. The more ‘popular’ animals of Africa definitely overshadow the Nile monitor. I frankly had never heard of it but my eyes perked after seeing all the monitor lizards in Thailand. Also I didn’t know the word monitor means dragon. The Nile monitor clearly an adaptable creature to co-habitate with so many and to basically eat everything under the sun. Watch where you put your picnic lunch! Glad you enjoyed the Nile Monitor today, Sue. We saw monitors in Australia too. I can imagine you did see many in Thailand, I like knowing this, thank you. And as always, thanks for your visit today, and you and Dave have yourselves a wonderful weekend. I didn’t realize they were in Australia. As if the place didn’t have enough fascinating creatures. Happy weekend to you and Athena. Fascinating reptile! So well adapted to their world! Yes, they are well adapted. And I agree, montucky, a fascinating reptile. Thanks very much for your comment. Another wonderful adventure. What the beautiful marking the Nile Monitor has. Thanks Jet. 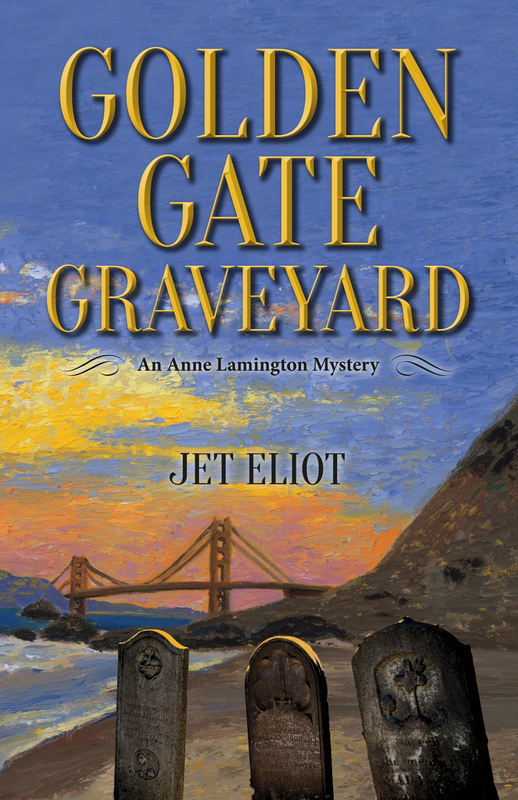 By the way, I’m enjoying your new Ann Lamington mystery novel. I love watching them, Jet. They have a tendency to hit an enemy with a tremendous whack of the tail. We once saw how a young inquisitive lion got hit by one. It was hilarious. He jumped about two metres into the air and nearly made a backward summersault! I am chuckling as I read this, Dina. I have read they use their tails for defense, but have never witnessed this. Thanks so much for the funny story! Such interesting facts, Jet. Thanks for sharing your fantastic photographs! It’s a pleasure, Jill, to share the Nile Monitors with you. Thanks for your visit today. Great post once again, Jet. You sure have seen some fantastic things in your travels. And what a delight to share them. Thanks very much, Anneli. Thanks for bringing us this unsung, unfussy eating reptile – what a character! They seem to be getting by just fine, coexisting with all manner of other species, and sneaking a meal or two along the way. Probably quite happy letting the big game steal the limelight, but you’ve highlighted a fascinating creature. Thanks again, Jet, and have a wonderful weekend! Yes, the Nile Monitors seem to get along just fine. Glad you enjoyed the post, PC, and always a delight to have a Friday exchange with you. I enjoyed that brisk walk on the northern coast at your site today. Cheers! Though I don’t agree with them as pets, I can see their attraction – they are beautiful creatures. I’m glad you included the shot of the monitor with your guide as up to that point I was getting the impression from the other great photos that it was bigger than that. The Egyptian Goose looks a lot skinnier than other species of goose I am more familiar with. It’s good to see something of Botswana too – my sister lived there for a couple of years but I never got a lot of info about her experience of it. No, the pet trade is a bad one for Nile Monitors. They do best in their native environment, and so does the whole ecosystem. 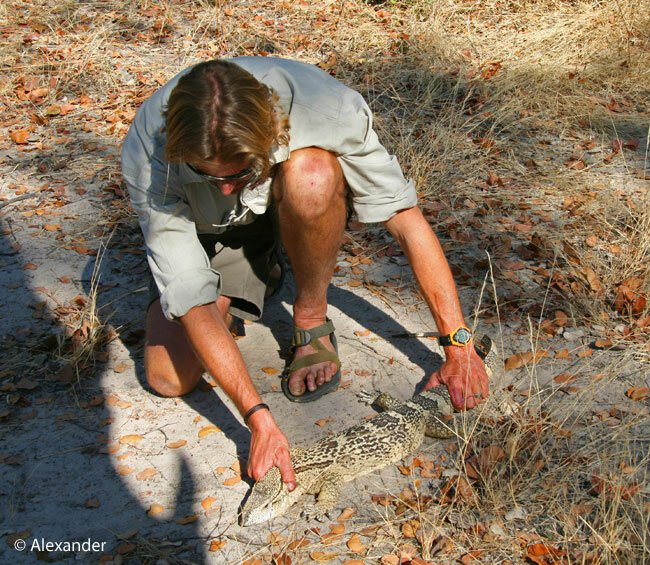 Glad you enjoyed the Nile Monitors and the photos of Zambia and Botswana, Alastair. I really liked both those countries. 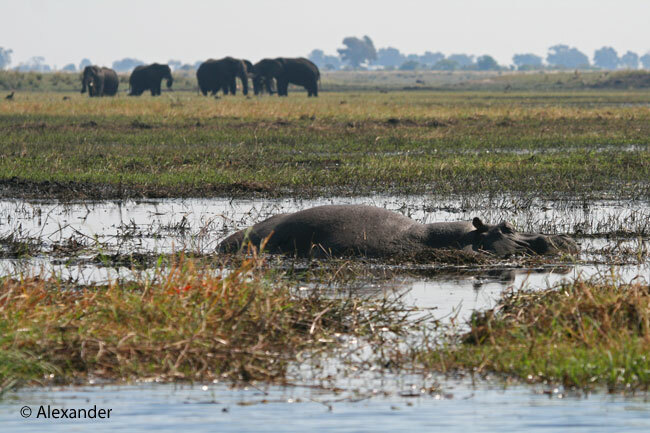 We saw more elephants and hippos in Zambia/Botswana, and lots more water. Also, less tourists here than in Kenya or Tanzania. But the latter two countries definitely have their highlights too. Always a joy, my friend, thanks very much. I’m glad you included a comparison shot – from the other pictures she looks huge. Yes, the Nile Monitors are not that big, comparatively. Glad you stopped by, Jan, thank you. Always something new to learn. thanks. Glad you enjoyed the Nile Monitors today, Sherry — thanks for dropping by. Enjoyed learning about this reptile. I’m always impressed by the adaptability of so many of these creatures. Thanks for this Jet! It is an amazing thing, Belinda, the adaptability of this reptile. I’m happy you enjoyed the Nile Monitor today. Loved that natural history joke, HJ, monitoring the monitors. Gave me a little chuckle. I, too, like how prehistoric the monitors are, and send you a big smile and thanks for your fun visit and comment. for my wonder, dear Jet. How lovely to “see” you, David. I always enjoy your poetry and crafty words, and am glad you found wonder in the Nile Monitors. My warm thanks for your visit. Fascinating post. A creature I only ever saw fleetingly in Zambia. I’m happy you enjoyed the Nile Monitors here, Cathy — thanks so much for your visit. I’m glad, too, that you’ve enjoyed Zambia. I liked getting your vote for the Queen of the Nile, Bill. Gave me a warm smile. Can’t deny the beauty of the hippo. A true joy to receive your comment, ACI, and undivided attention. We all had quite a fright while passing over that bridge, until we learned there was no water to fall into. 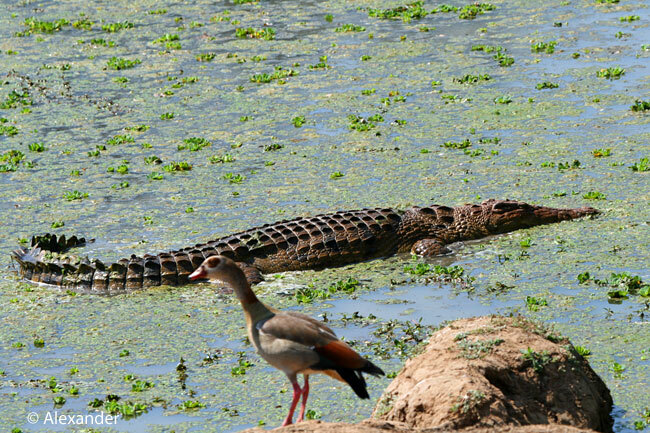 The only trouble with safaris is there is SO much to look at, including the Nile Monitors. I’m delighted to have you along on safari today, thank you ACI. Glad to see that this monitor is well adapted and doesn’t seem threatened by habitat loss. Must stay under the radar! Yes, you’re right, Eliza, the Nile Monitor must stay under the radar. Thanks so much for your visit, much appreciated. Really fun to introduce you to the Nile Monitor, Katy, thanks for stopping by. 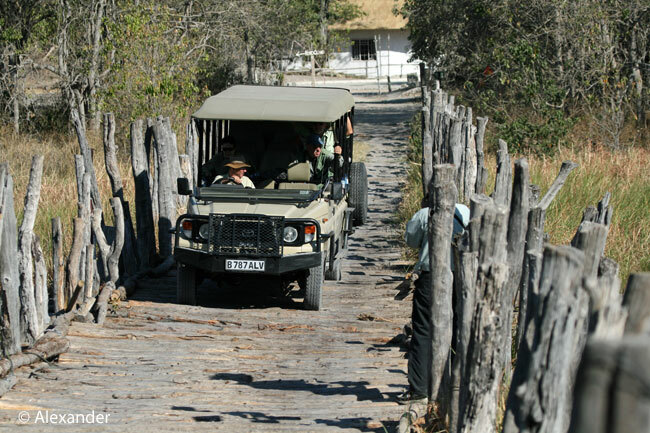 I once put the African Safari at the top of my list, and nothing was ever the same after we went. Just kept saving up, then going back, saving up, then going back. Enjoy! Fascinating creatures and I think you are right..they are the true queen of the Nile. Great informative post…I had no idea…thanks! An interesting post with an unexpected subject, Jet. I admit that I’m not a reptile fan, but I always thought that monitors had a cool swagger. I’m glad you used that word — it’s a perfect description. Hugs. I never knew about Nile Monitors! Thank you Jet, for another interesting and informative post. A delight to share the facts and photos of the Nile Monitor with you, Hien. Thanks very much for stopping by. I’m not sure it’s correct that “The word ‘monitor’ derives from the Arabic for dragon.” Note this definition in the online Oxford Dictionaries: ‘A large tropical Old World lizard with a long neck, narrow head, forked tongue, strong claws, and a short body. Monitors were formerly believed to give warning of crocodiles.’ That last sentence provides a rationale for the name monitor. Regardless of the name’s origin, you clearly enjoyed seeing those Egyptian ones. Lizards are always cool in my book, plus it’s good to know the word monitor comes from the Arabic word for dragon. Great comment, thank you Jeri. Lizards are always cool in my book, too; and you and I sure are into books, words, and yes, lizards. Fascinating. The Nile Monitor is not something you see in safari brochures, but advertising often neglects the smaller creatures. It’s the diversity of wildlife that makes Africa so interesting, but the Big 4 can’t be missed either. Thanks for this virtual tour. I hope to go there one day. Yes, you’re right, Draco, the beauty of the African world is the diversity…as it goes for just about all the places in this lively and picturesque world. I’m happy you stopped by for a visit to sub-Saharan Africa. I sure enjoyed my visit to the diversities of CDMX on your site. 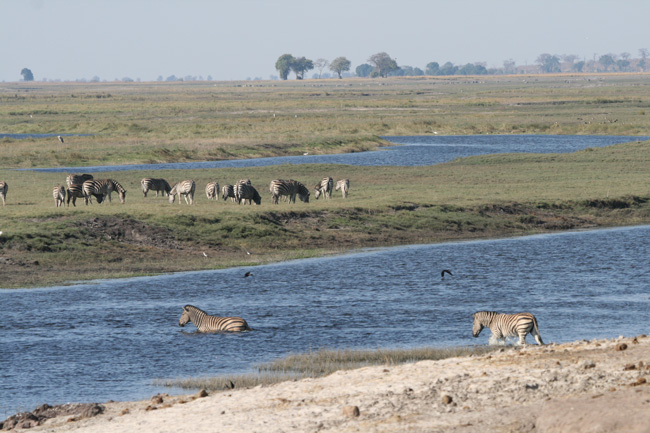 and zebras, it was almost like being there, something I’ve dreamt about doing since childhood. This was a great post Jet. The photos are wonderful, as always. Laying 60 eggs is amazing. I wonder how many usually survive? I agree, Sylvia, laying 60 eggs is amazing! I don’t know how many survive, but the odds are favorable, especially when they are tucked inside a termite mound. My warm thanks for your visits this morning. Interesting! Always amazes me the amount of variety in the same species. The scariest photo in this post was that bridge! yikes. Yes, I was nervous crossing that bridge. The guide had to take it slow, because it was so rickety, and in Africa all kinds of things can go awry…but fortunately we made it across. Thanks so much for your visit, Nan, I’m glad you enjoyed it. Beautiful photos and interesting blog. I’m glad you enjoyed the Nile monitors, frejatravels, thank you.